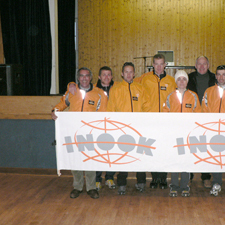 Makes place for the youth! 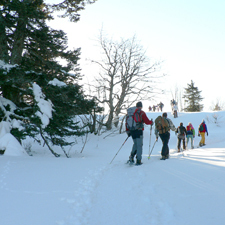 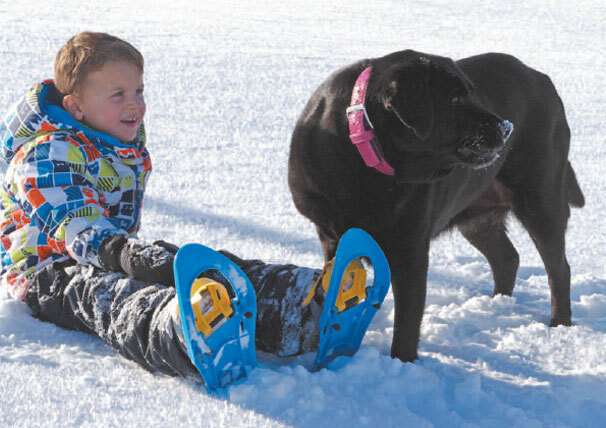 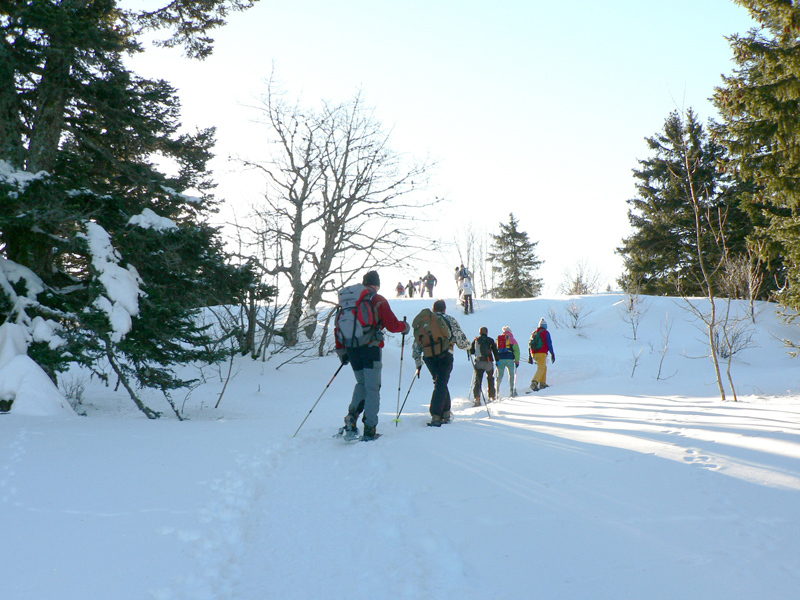 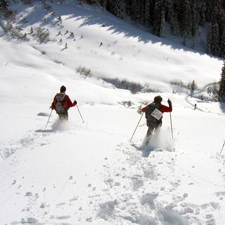 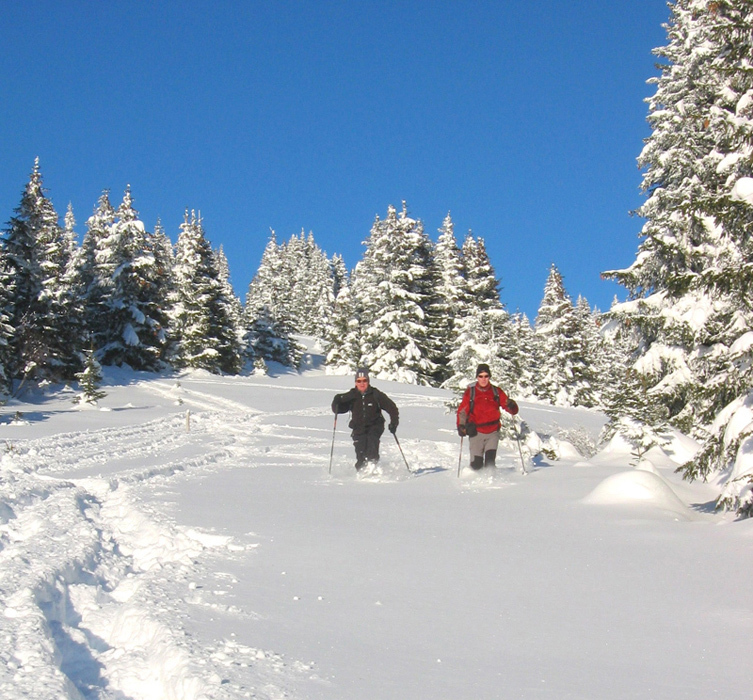 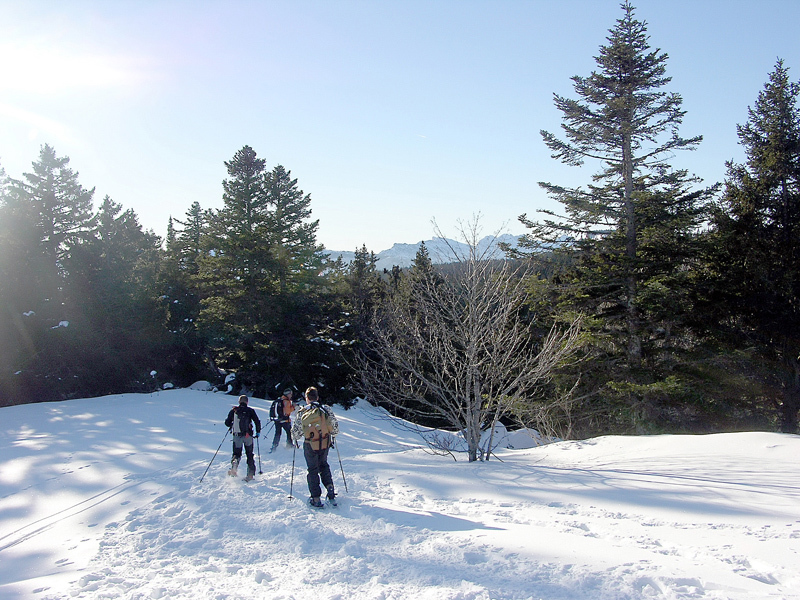 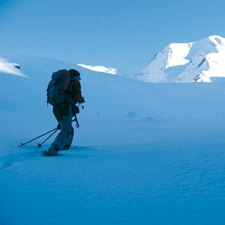 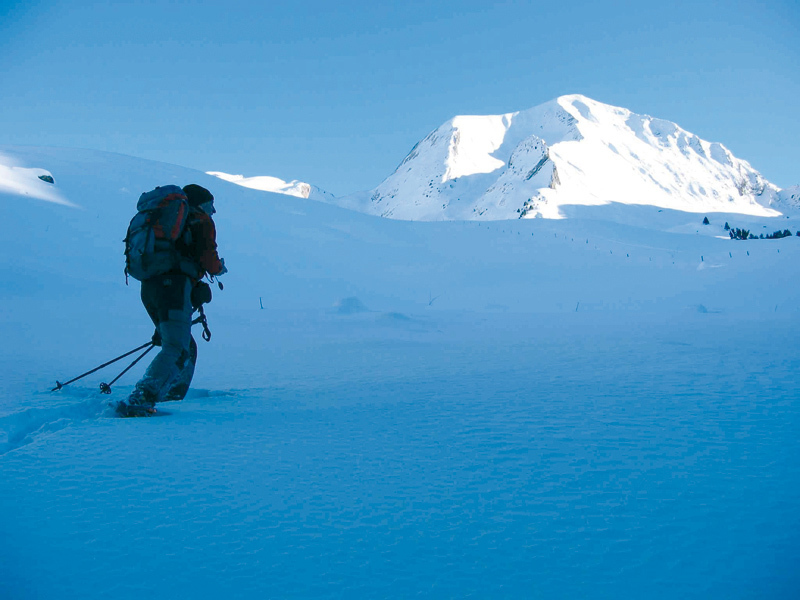 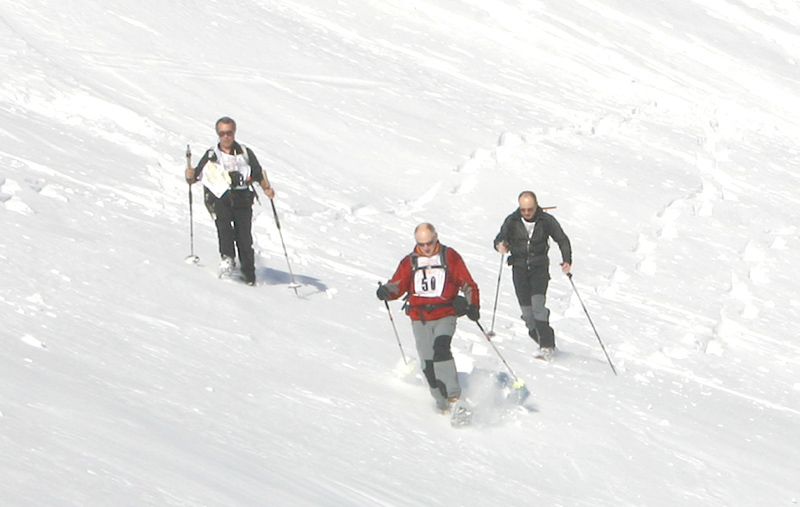 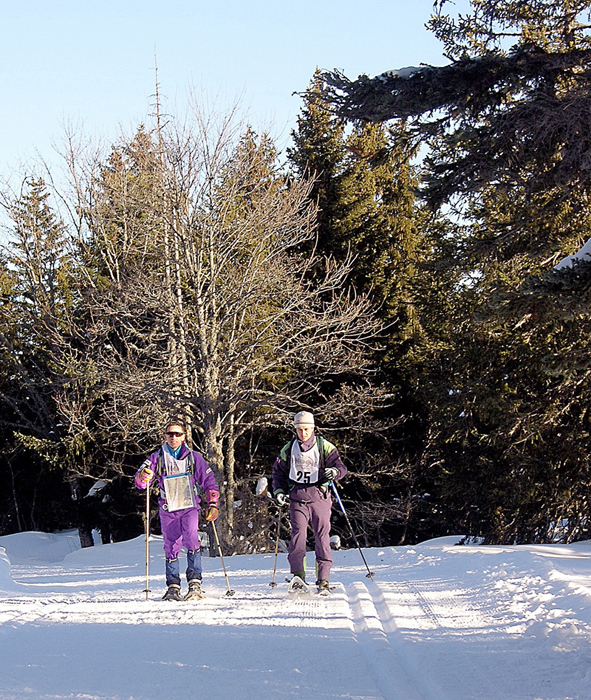 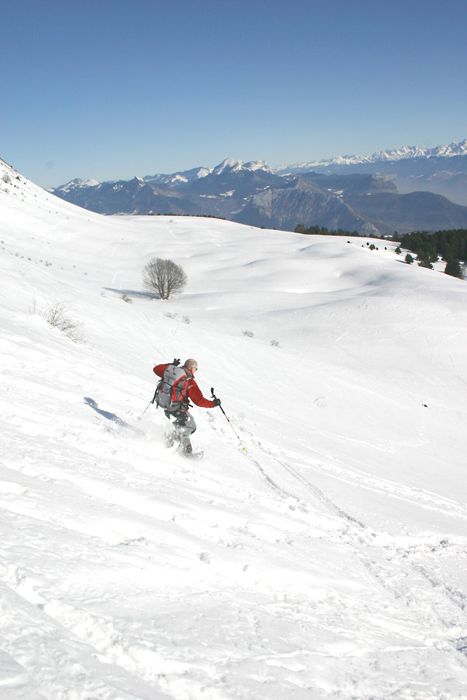 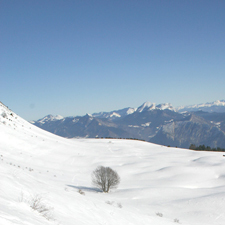 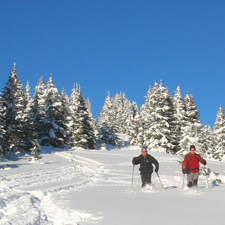 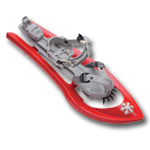 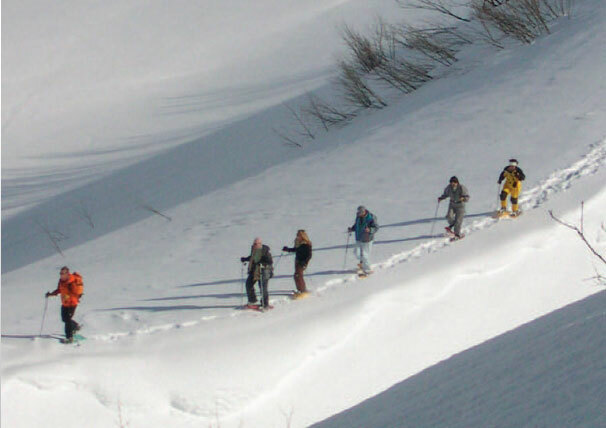 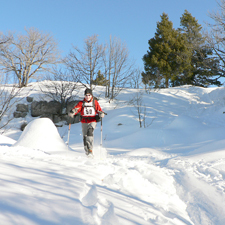 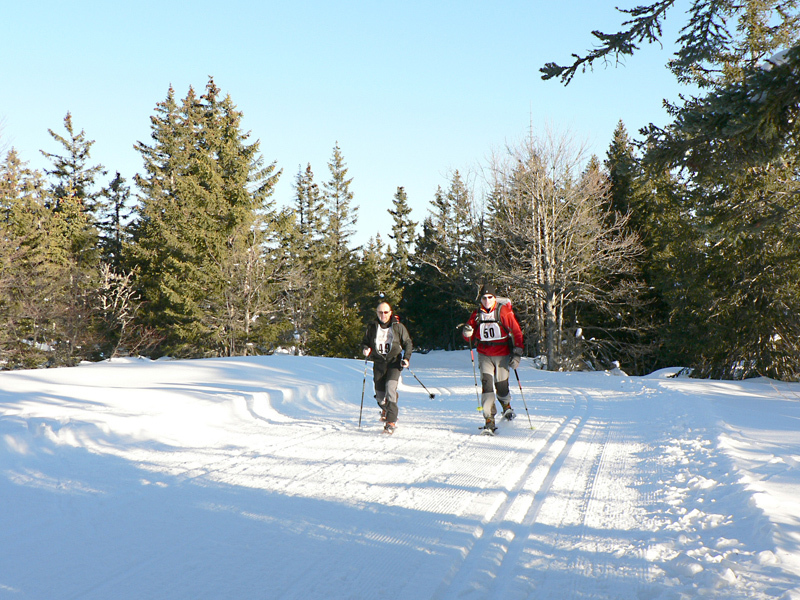 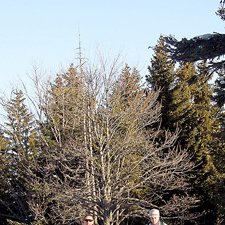 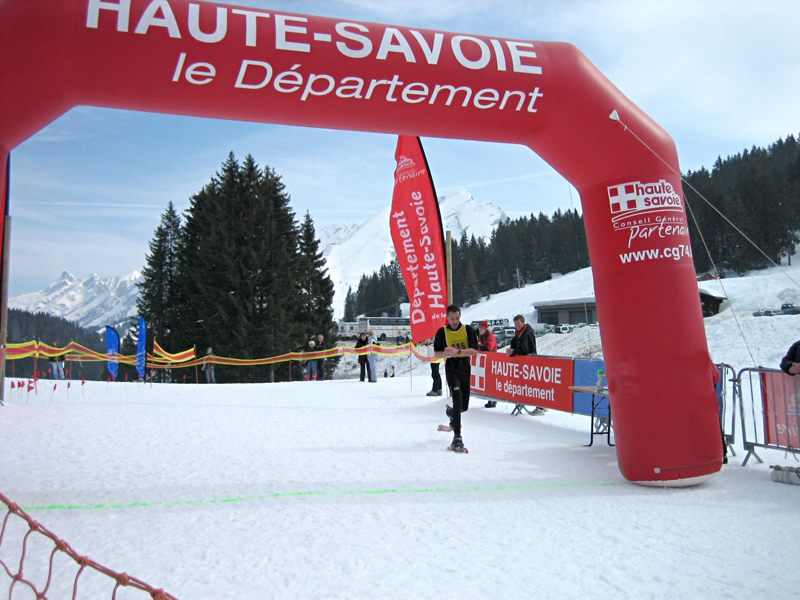 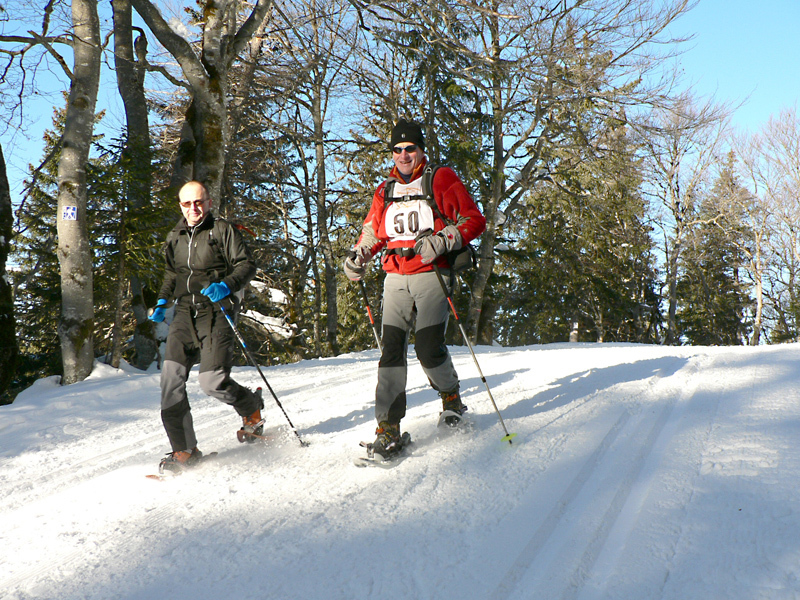 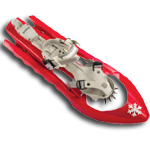 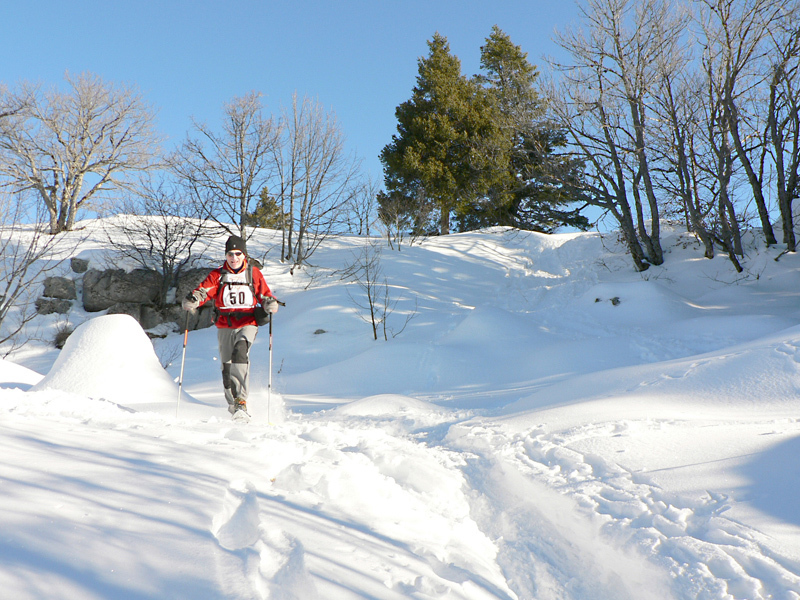 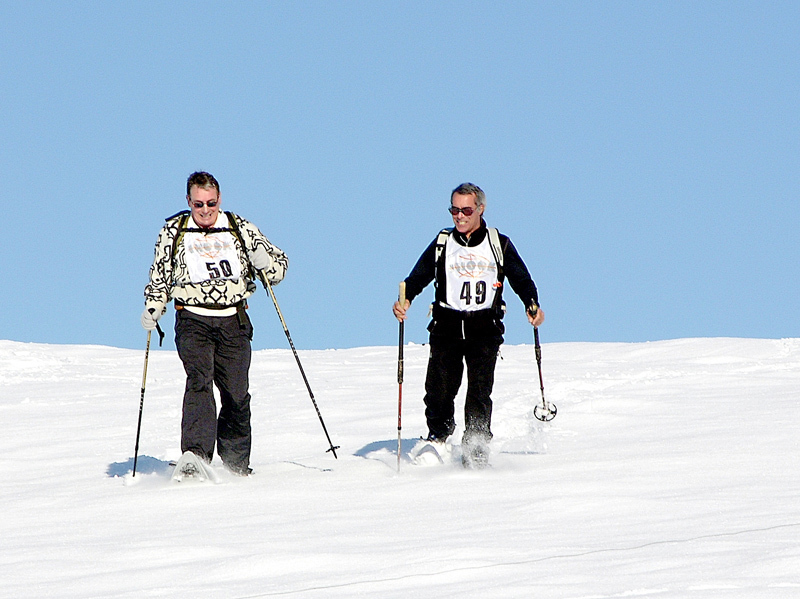 This year, the lnook Snowshoes’ rarge has once again improved on several levels. 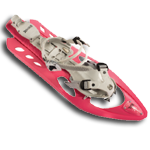 We have focused on our children's range which has totally been renewed. 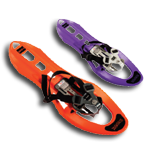 Young hickers need first of all a convenient product, light, easy to put on and off, and adjustable for constantly growing sizes. 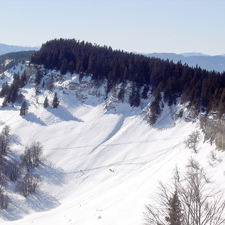 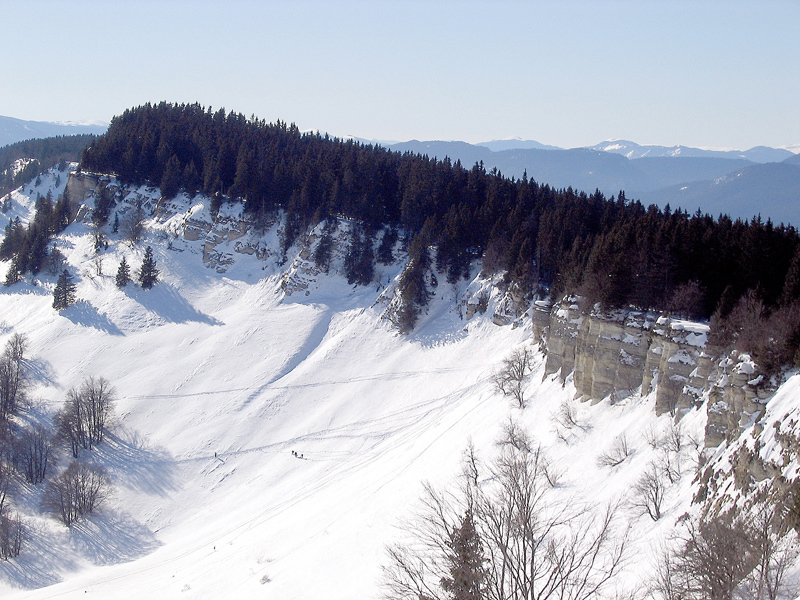 Besides that, a high quality level as well as a brilliant hold in steep slopes is ensured. 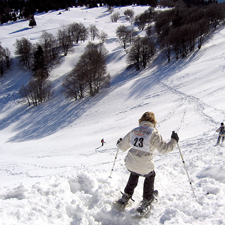 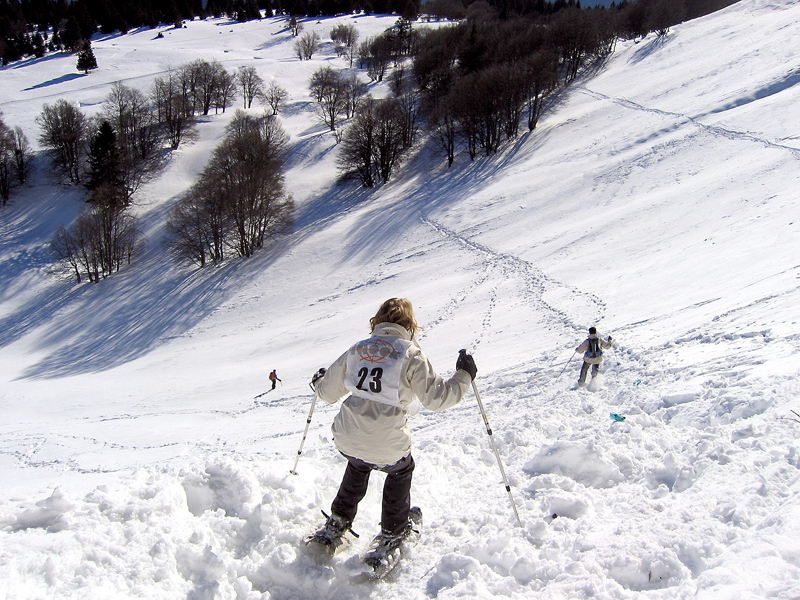 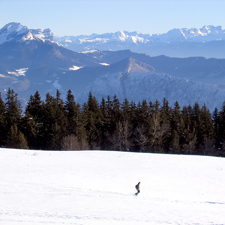 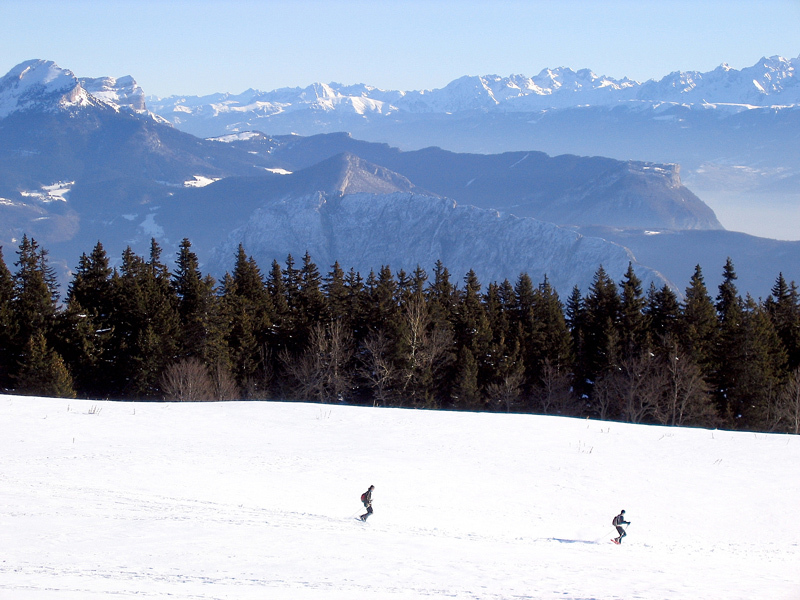 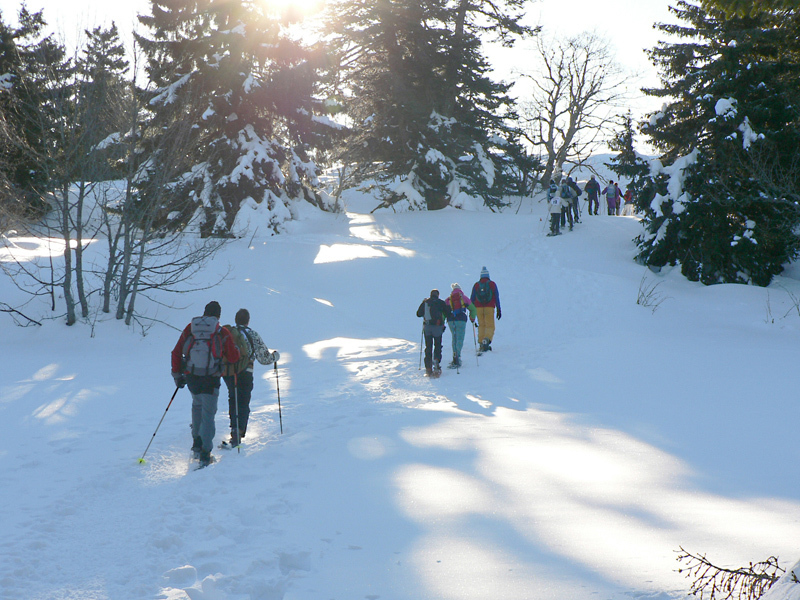 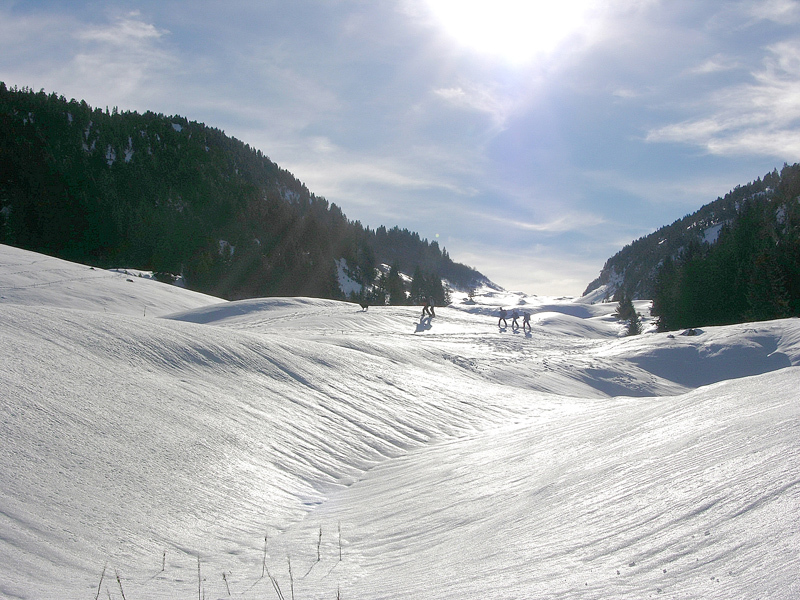 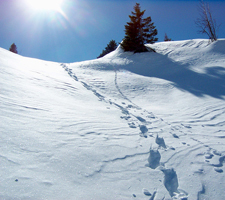 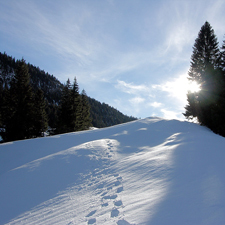 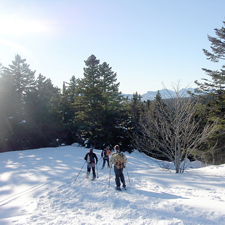 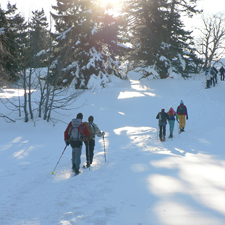 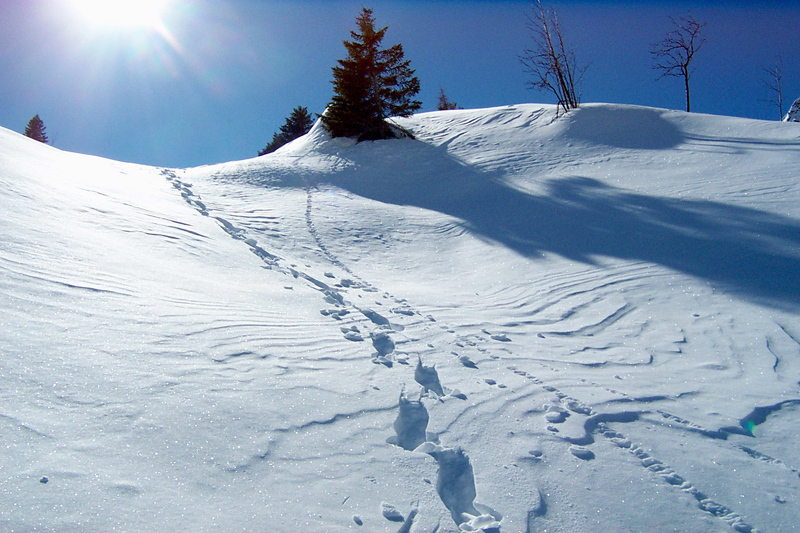 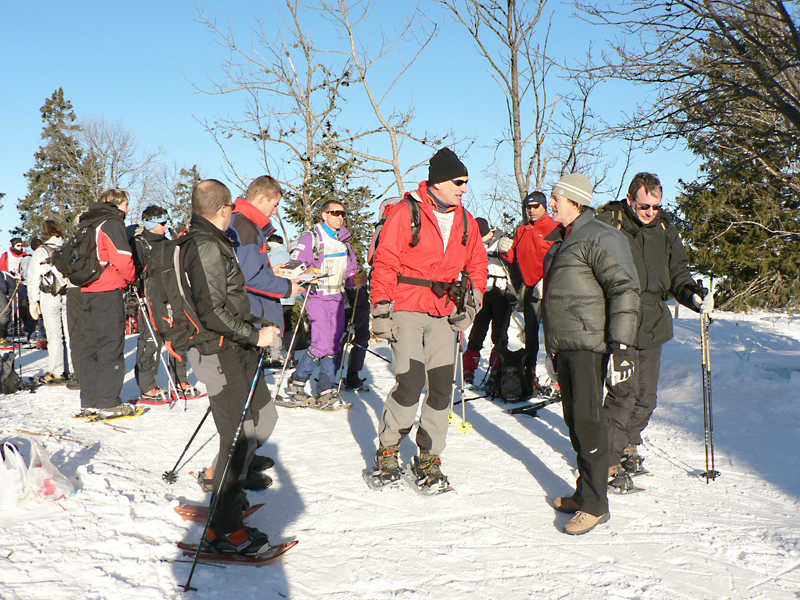 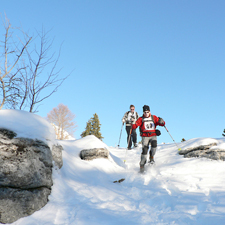 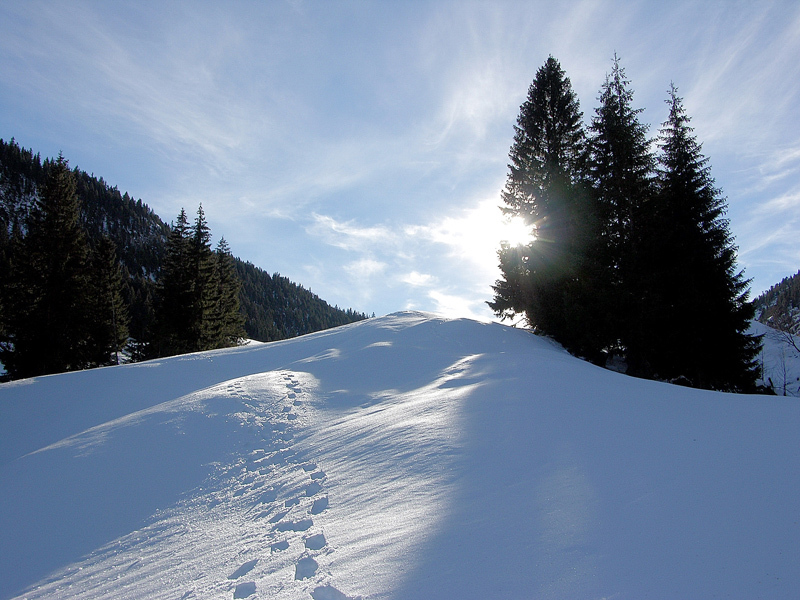 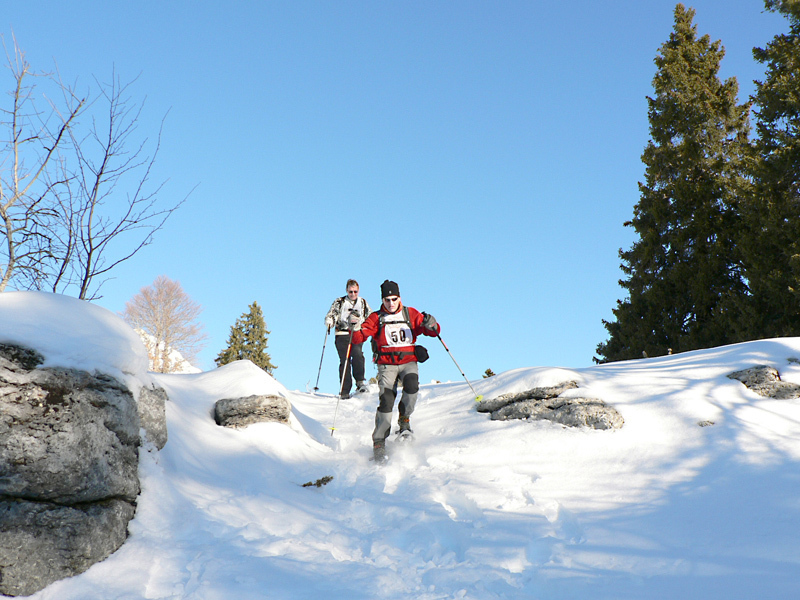 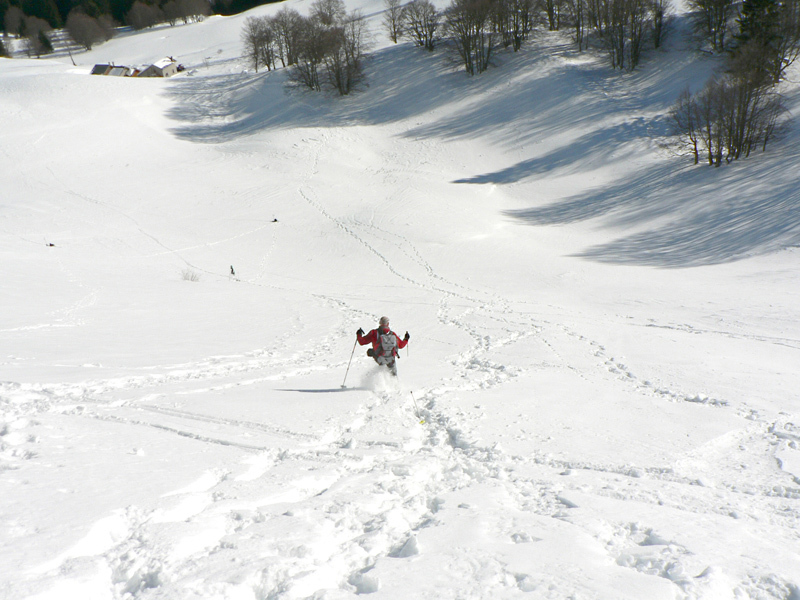 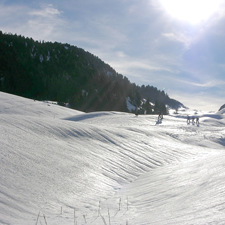 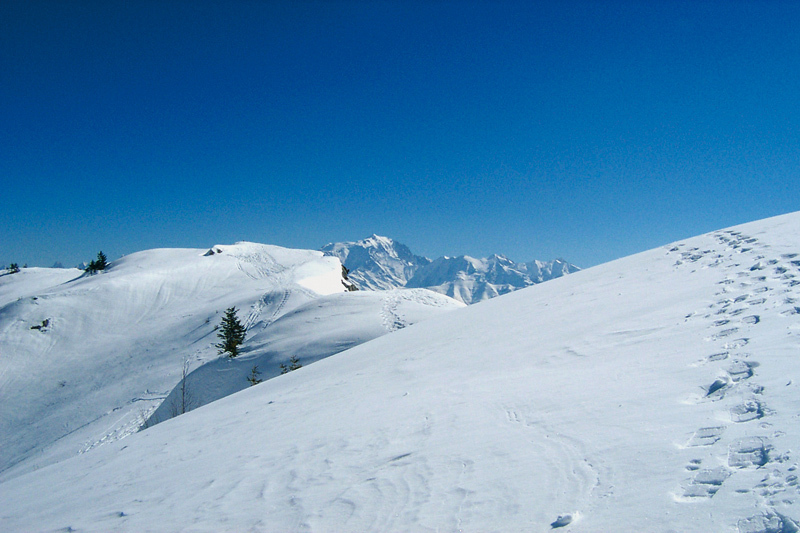 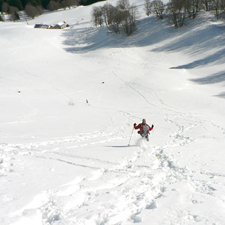 Finally it is important to keep in mind the playful dimension, snowshoe hicking will remain a game for children before later becoming sports. 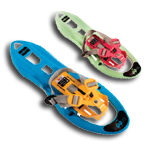 The results are our both new models, E-MOOM [26 to 33 EU sizel and E-GLOO [32 to 38 EU size] for children up to 40 and 50 Kg. 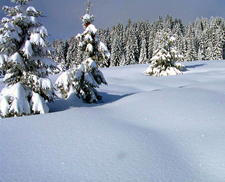 The adults’ range has changed too, but keeping the elements which made its success. 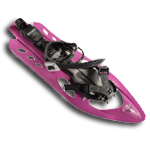 New colors and technical innovation will give the 2017/2018 range its own personality. 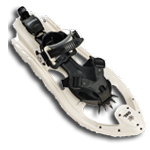 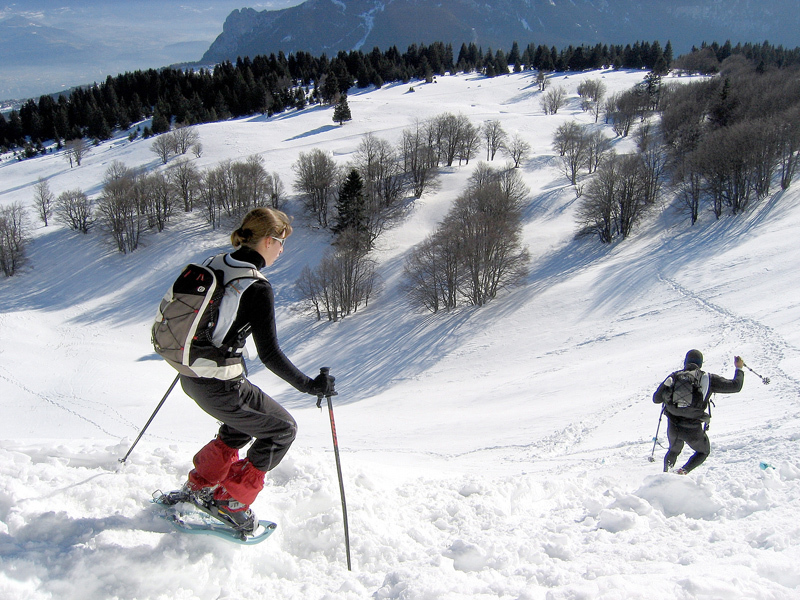 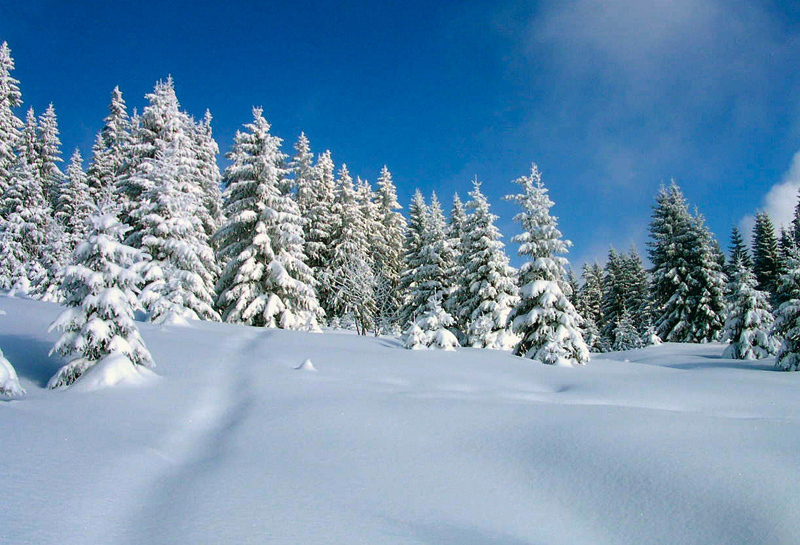 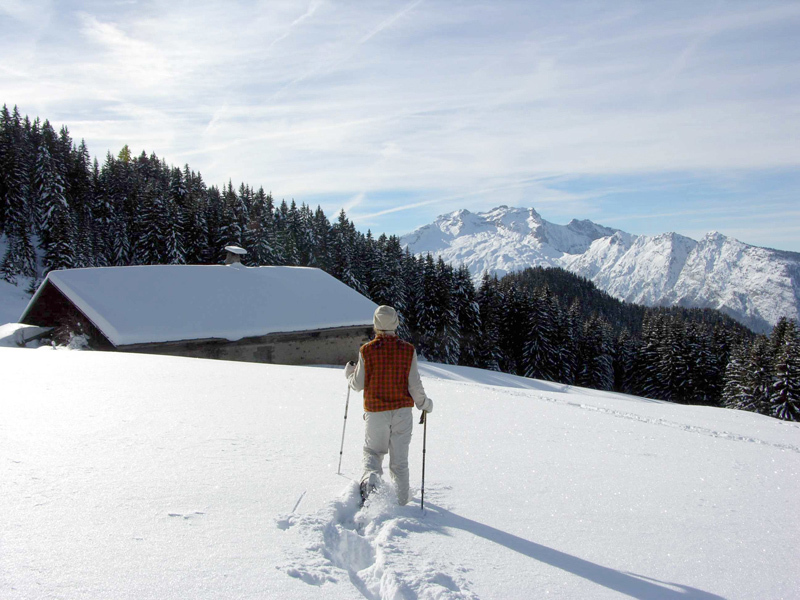 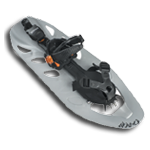 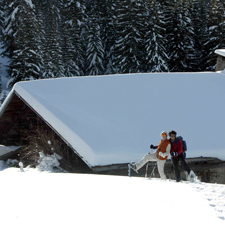 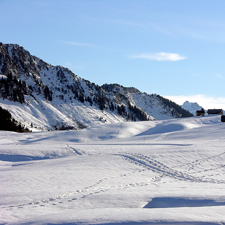 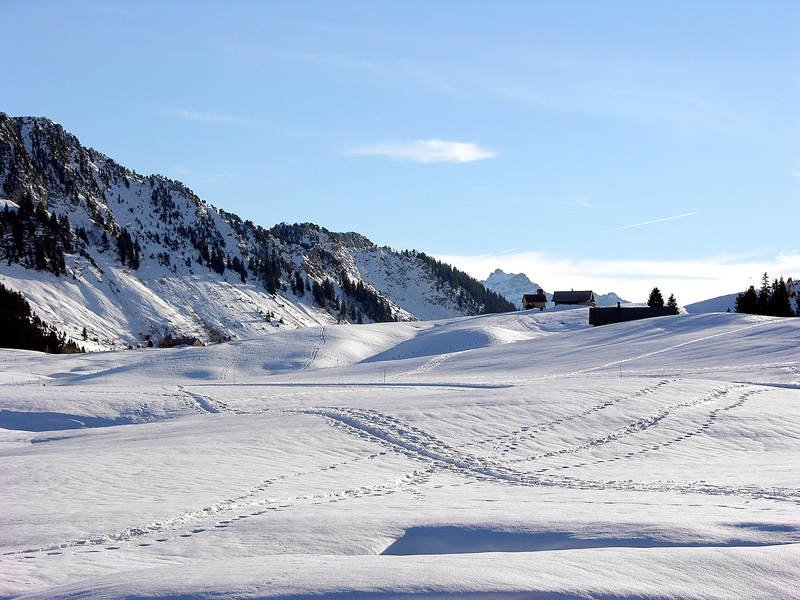 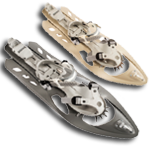 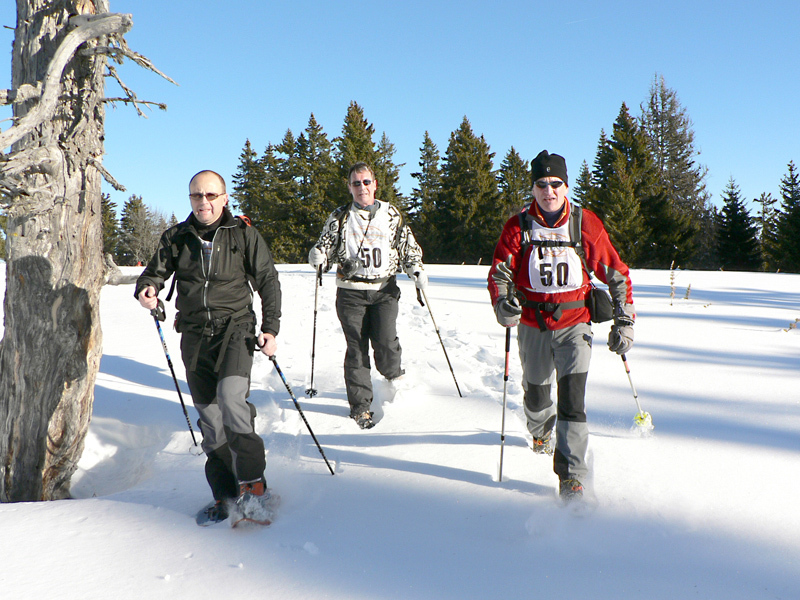 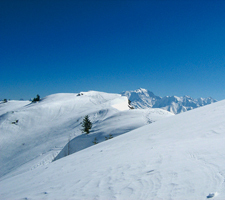 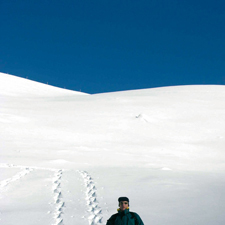 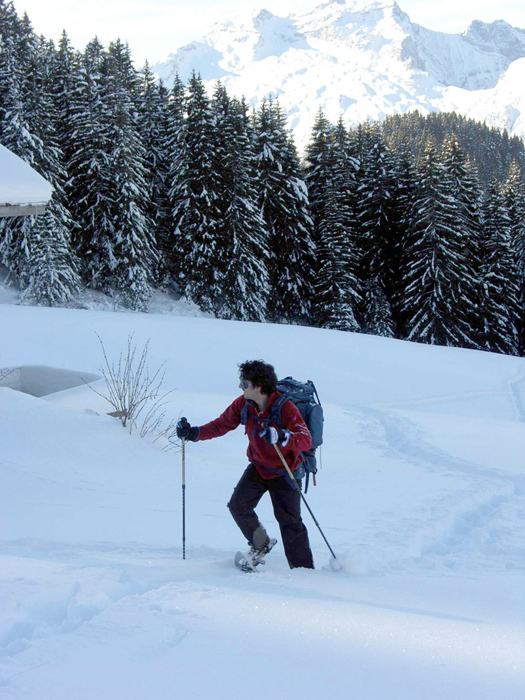 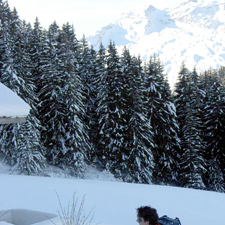 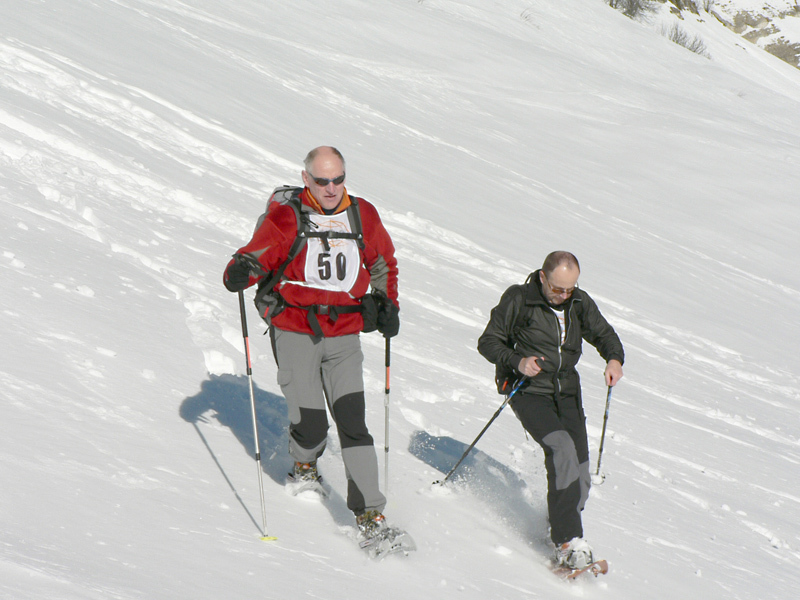 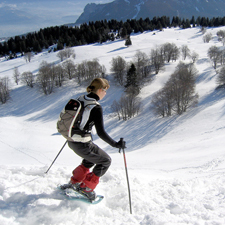 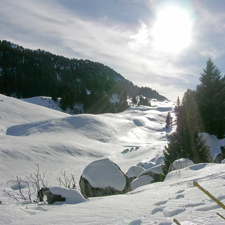 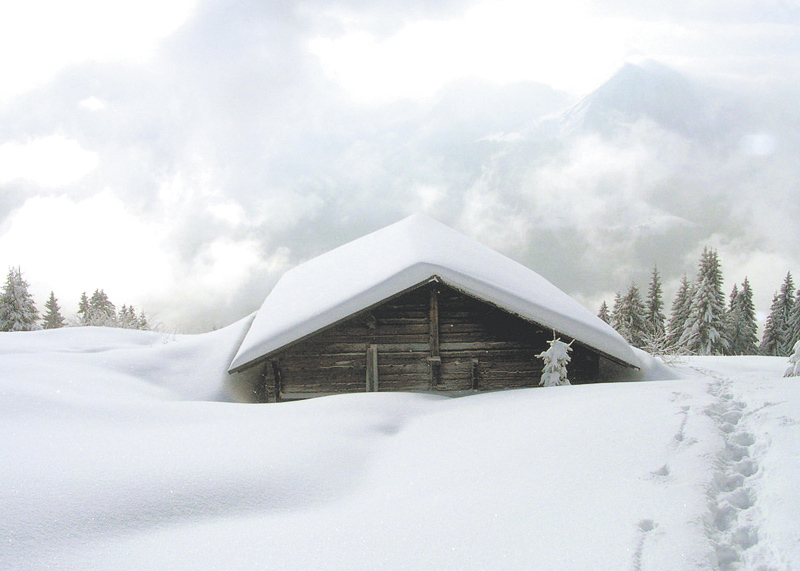 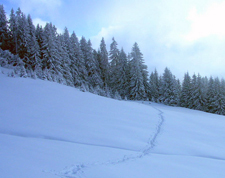 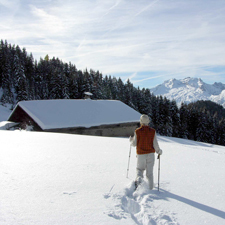 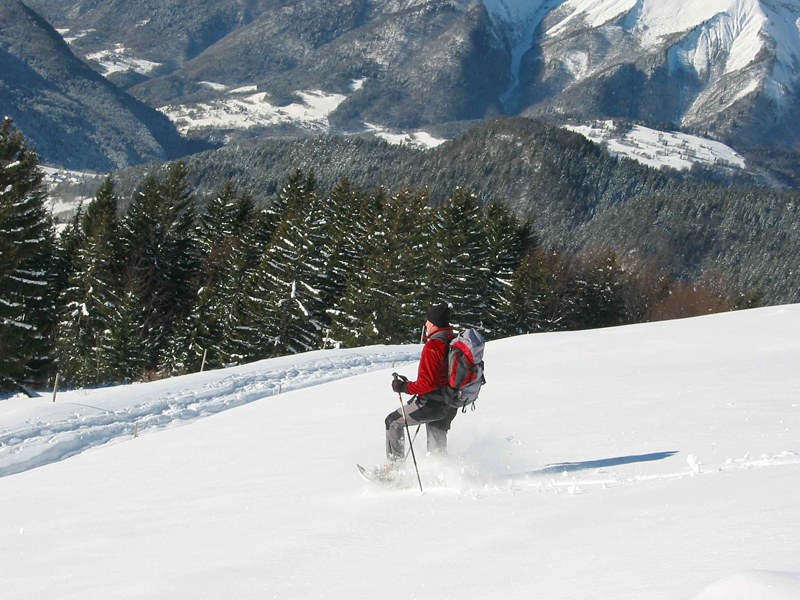 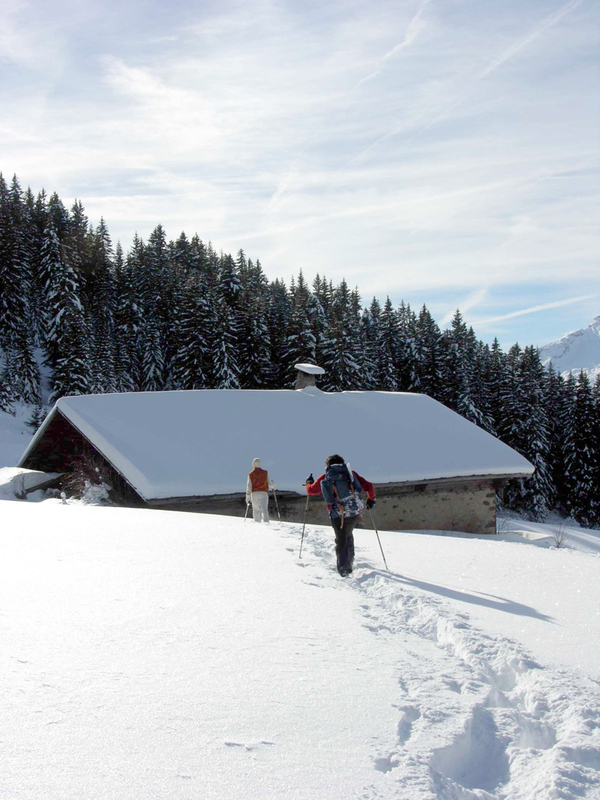 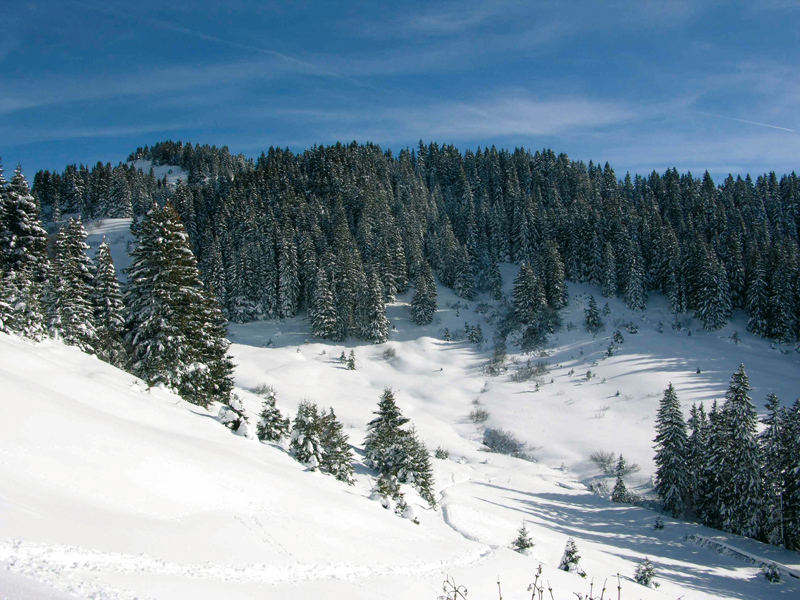 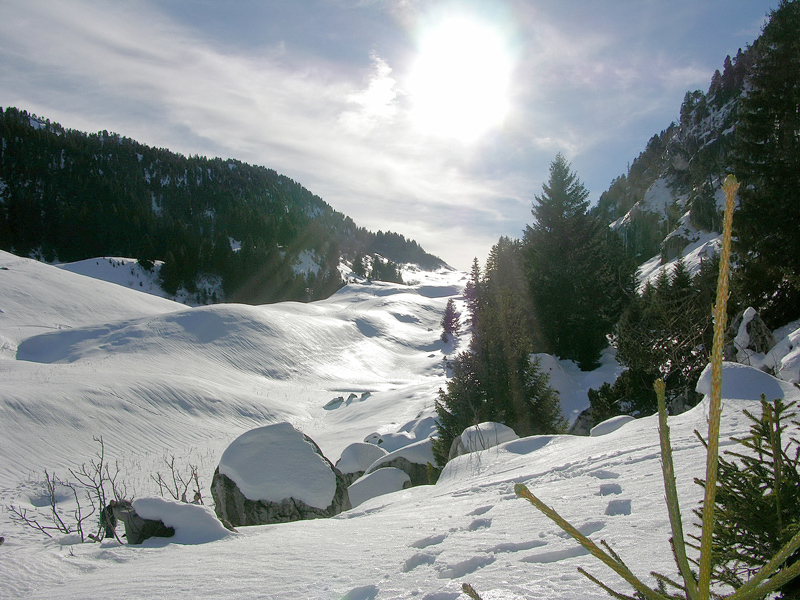 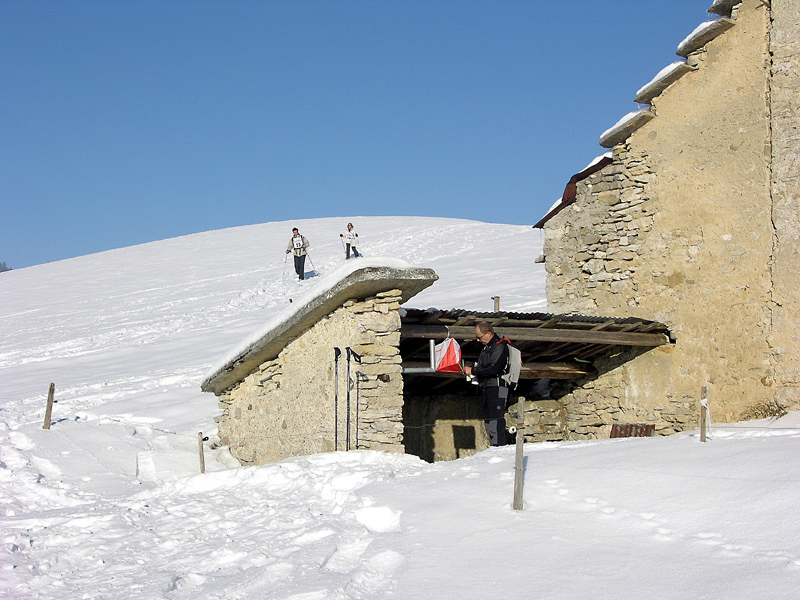 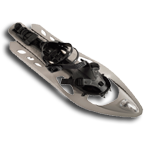 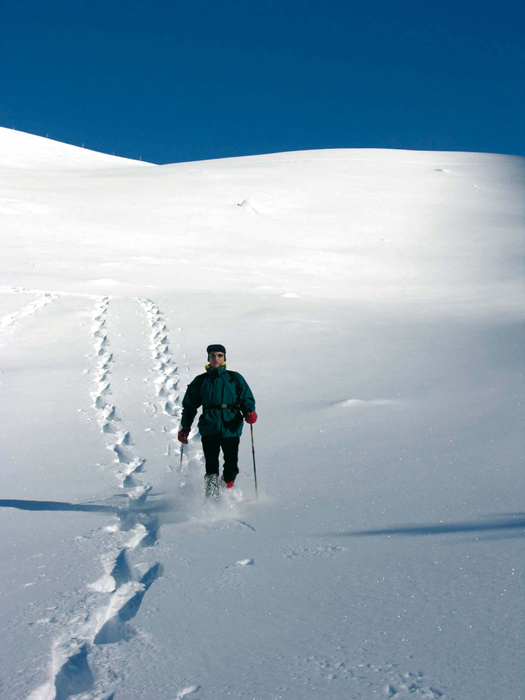 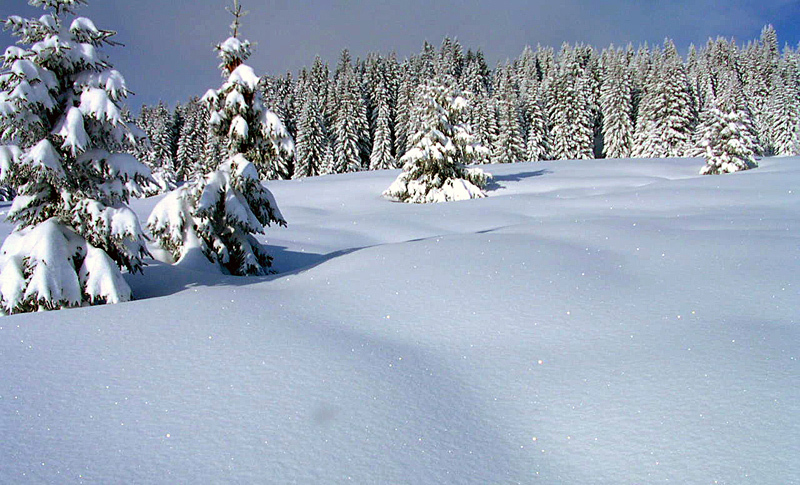 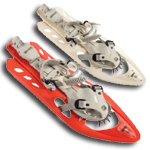 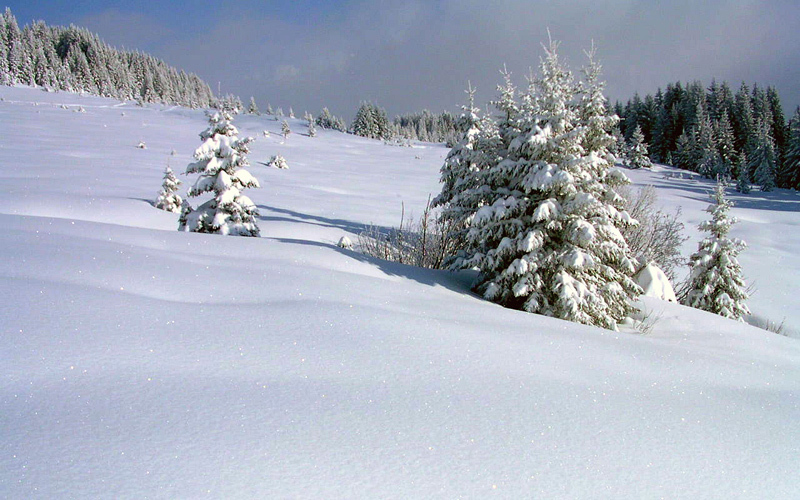 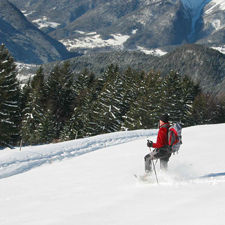 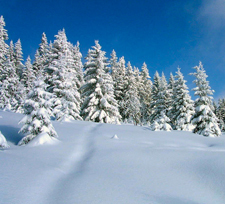 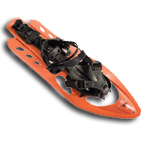 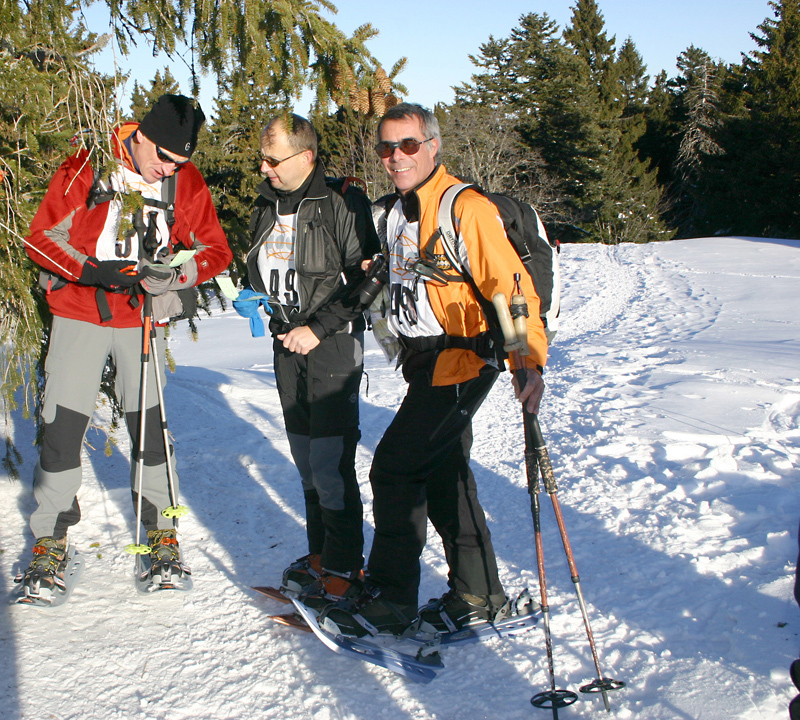 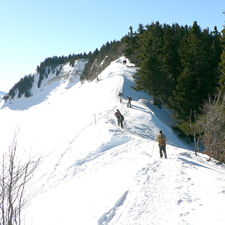 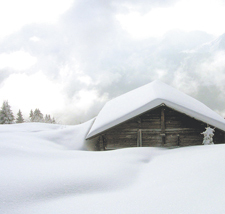 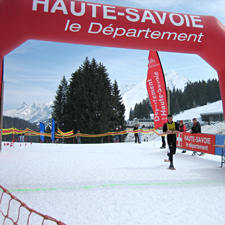 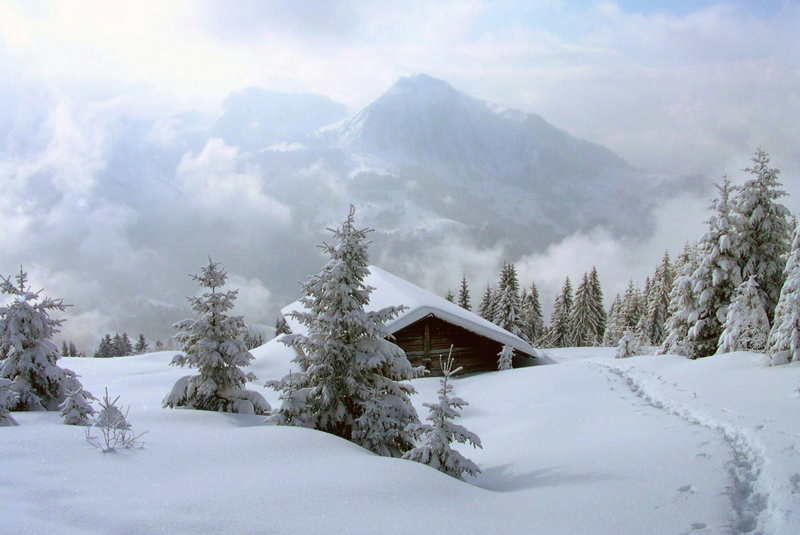 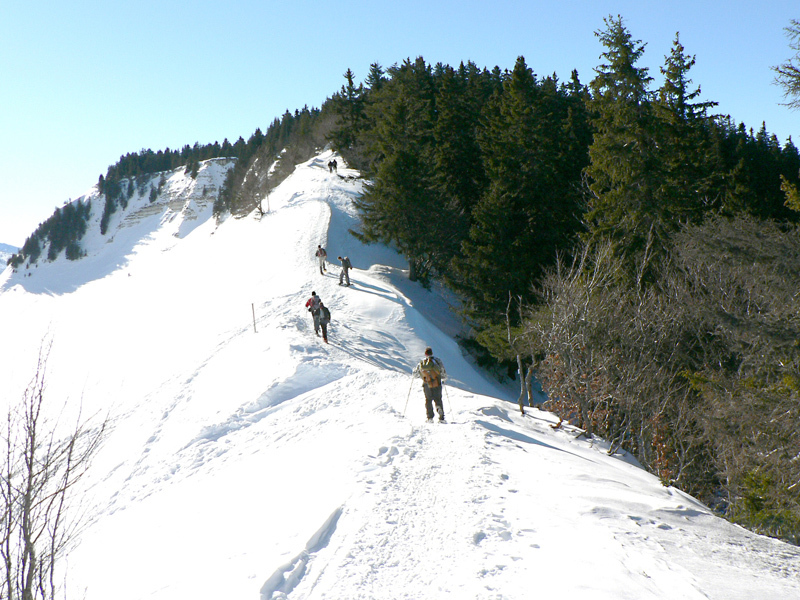 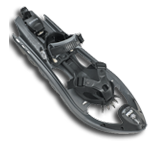 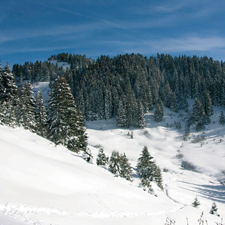 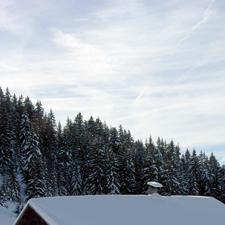 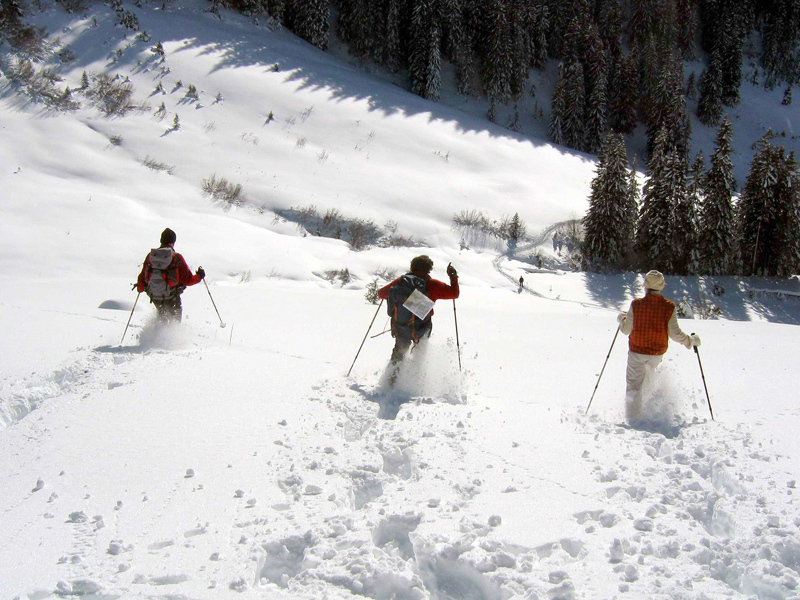 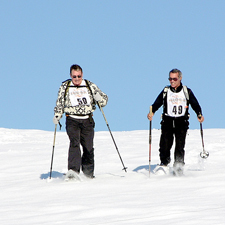 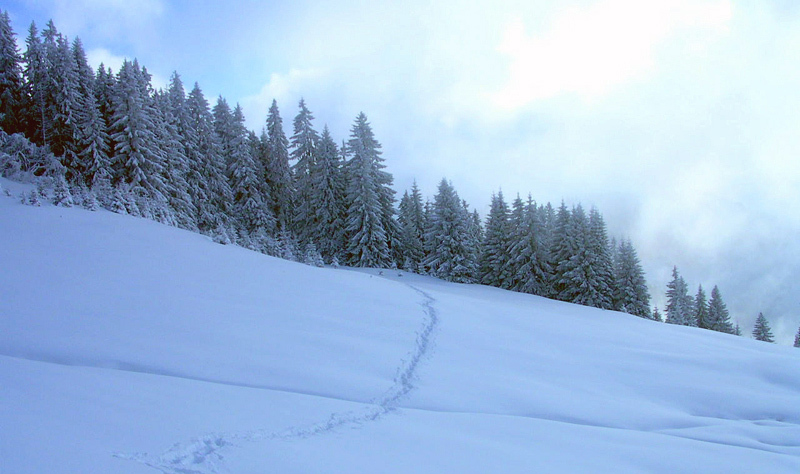 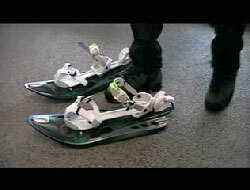 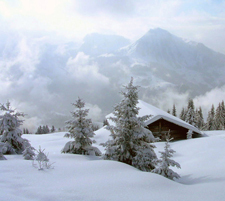 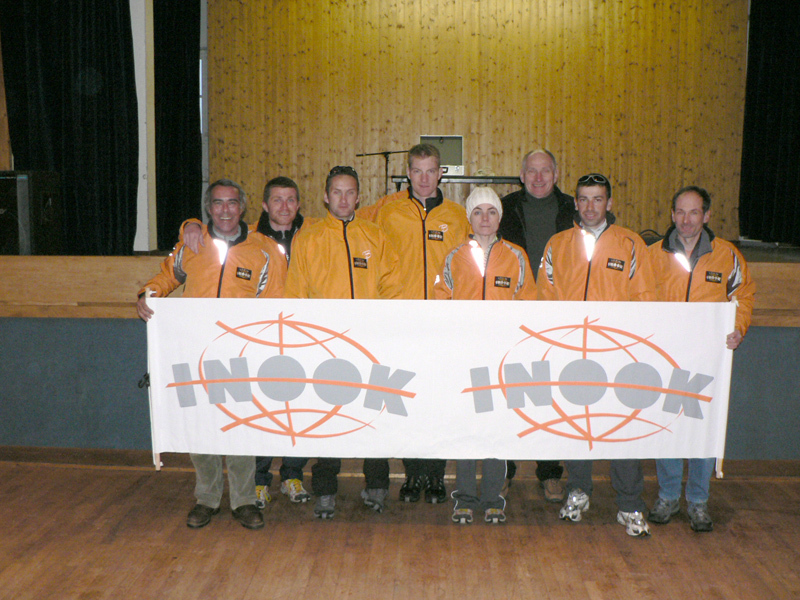 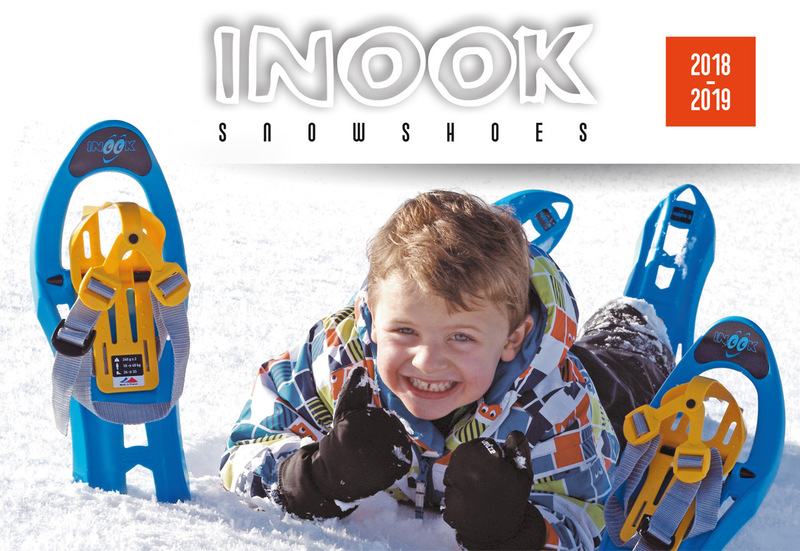 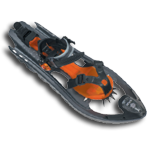 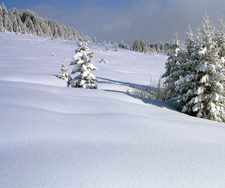 You will recow INOOK Snowshoes is growing throughout Europe. 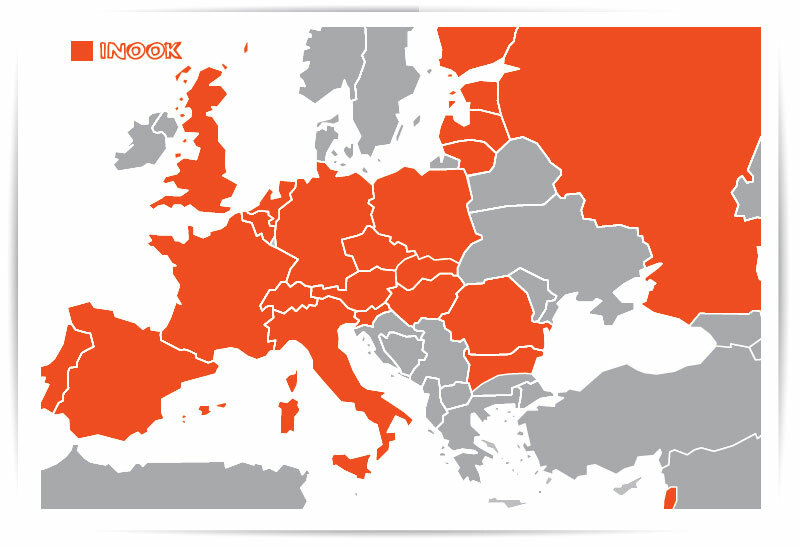 It is a proof that our technical and trade strategies are increasingly appreciated. 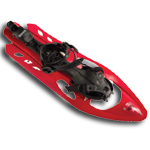 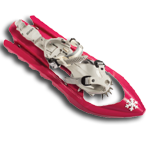 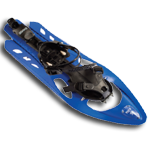 All models (except the rental models and kids’ range) are delivered in a snowshoes bag, where information about weight and shoes sizes are indicated.